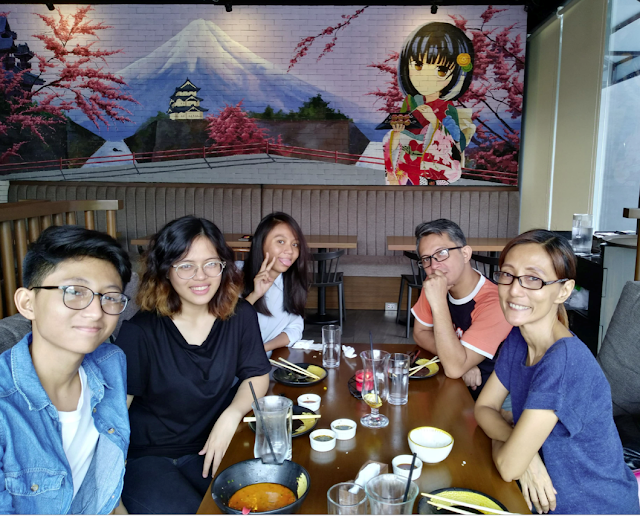 When it comes to food, my family's top 2 favorites are: Filipino comfort food and Japanese. We've already tried quite a number of Japanese restaurants and we keep coming back to those that suit our palate. But Ramen Houses are yet to be explored by our family. 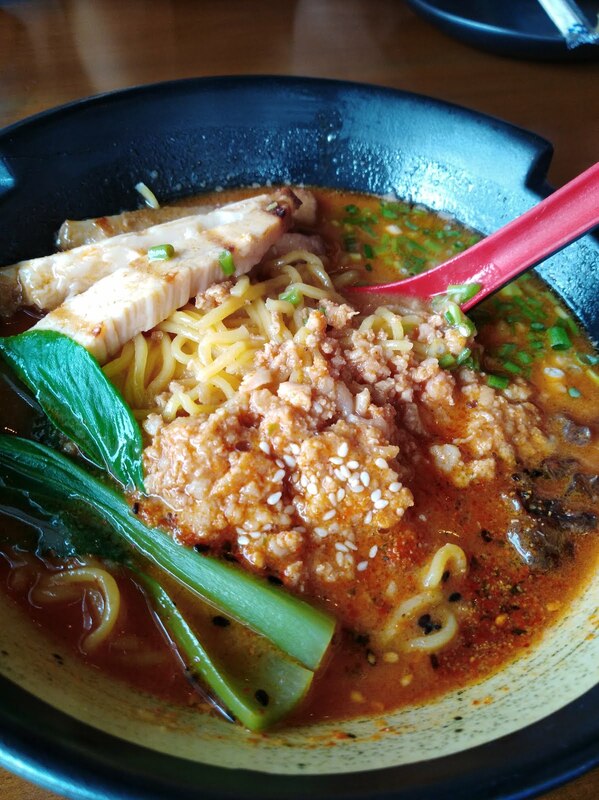 We are not actually BIG fans of ramen. Or maybe... we have not discovered yet, the type of Ramen that is... in the dialect "pasok sa aming panlasa"! So when I got the invite to do a review of Octoboy in Tomas Morato, I agreed right away. One, its Japanese. Two, it would be interesting to give my teens alternative japanese food choices, that we don't usually order. And this is our honest Octoboy experience! TAKOYAKI - that ball shaped snack made from wheat flour, with yummy fillings and usually topped with takoyaki sauce, Japanese mayo, and bonito flakes. Check out what we ordered below. We liked every single one of them -- with the crusty exterior and chunks of octopus in the middle. The salty takoyaki balls blend perfectly well with the different sauces and toppings. For others, takoyaki is just a snack. But with 6 pieces takoyaki balls per serving, it is quite filling. And oh my... my long island iced tea was the perfect partner for it! SUSHI ROLLS AND MAKI - are my teens' ultimate favorite. More than sashimi, they love these rolled goodies anytime of the day. In Octoboy, their sushi rolls and maki come with a twist. and Taiwan pechay. It was super SPICY. But surprisingly my son liked it!